As soon as the Political body of the National Revolution appeared, it received many positive comments. It raised a wave of enthusiasm. The Hellenic Soul thirsts for National Liberatory Struggles. There were, however, some dissenters with the venture. Five kinds of dissenters: chronic sufferers of phobic syndromes, the politically inexperienced, monotheists, atheists, and cosmopolitans. Their stream of thought is condensed in the following sophisms: "the Christians are the majority, so how will we assume authority? ", "let's not divide ourselves", "the people have other priorities", "let's not project the religious issue so much". This kind of nonsense is heard for decades, mainly from individuals of two categories: from the politically ignorant, and naturally from the Christians. We will respond to their sophisms in detail. For twenty centuries monotheism in our land has tried to level our distinctiveness and wipe out our ethnism. The lust of the Christian politicians within Hellas with the nightmare of a unified Europe is explained by their ecumenical and monotheistic upbringing. The Christian Church within Hellas bears the great crime of the cultural genocide of our Nation. We face the danger of assimilation in its political, religious, racial, economic and cultural dimensions. As is natural, the Christian and atheist parties within Hellas are in line with the assimilation. Therefore, it is misguided of someone to claim that we shouldn't care about the religious character of parties, whether they're monotheistic such as Golden Dawn, Independent Greeks, New Democracy, or whether they're atheistic such as SY.RIZ.A., K.K.E., ANT.AR.SY.A. The number one problem in a Revolution is the issue of ideological hegemony. A people's way of thinking, its code of conduct, its moral values, all determine its political stance. Cultural hegemony describes the dominance of a ruling class in an inhomogeneous society. The ruling class manipulates the doctrines, standards, perceptions and moral values, so as to convert its own worldview into the consensus view for all society. It becomes the "norm", which justifies the political, social and economic status quo, and presents it as natural, unavoidable, perpetual and beneficial for all, rather than as an artificial construct that benefits only the ruling class. However many economic problems may rouse an impoverished people, if the revolutionary leadership does not acquire primacy in issues of moral values, the revolution will fail. It's worth remembering what happened in the war between capitalism and communism. Communism was defeated in the economic field but was victorious in the cultural field. Cultural Marxism thoroughly defeated the Western camp. Today, in all over the Western world, predominate the ideas about multiculturalism, nation, feminism, tolerance, human rights, anti-racism, abortions, immigration, homosexuality, just as they were elaborated by the intellectual workshops of cultural Marxism, headed by the Frankfurt School, in the decade of the 1920s. In our own Revolution, the ideological problem translates to the following key question: Who possesses cultural hegemony and religious authority? The brief answer to our rhetorical question is that we must crush both the monotheistic religious authority and the Marxist cultural hegemony. It's unthinkable for some Hellenes today to speak of a democratic revolution, and to ignore that the Christian calendar was abolished in the French democratic revolution. The French started to count by year 1, year 2, and so on, with the purpose of eradicating the religious and monarchist influences of the old regime on the French people. The regurgitated platitudes such as "let's not bring forward issues of religion right now", "let's be united", etc., imply that we must downgrade the issue of religion because we supposedly have more serious issues to deal with. And naturally the point of view of those worried about the "unity" is purely Christian. Before I answer their question in detail, I bring forward my own question: how serious is a party today in Greece that downgrades the issue of Islam and Jihad? What fool would say, "let's put aside for now the issue of Islam because we have more serious problems"? With at least two million Muslims in our land, only simpletons would claim that religion shouldn't be among the central issues of a political body. Religion determines to a great extent the political conduct of a society and molds its ethnism. The issue of religion affects the national security of Hellas. It determines its foreign policy. It influences the psyche, racialism, and civilization of the Hellenes. Therefore, the stance of the politically organized Hellenes on the issue of religion must be clear-cut. In a recent public speech of mine, a Christian nationalist asked me in a cunning manner, "have we come here to discuss politics or religious studies?". He evidently had no response to my argument "should we or should we not be concerned with the presence of Islam in Hellas?". When they deem the issue regards Christianity, they shift the discussion toward "unity". When they deem it regards Islam, then they talk about "terrorists". Morale (esprit de corps, as the French would say) is the ability of a body to maintain its faith in an ideology or purpose, under adverse conditions. The manifestations of morale are discipline, vigor, obedience, resilience, consistency, and self-sacrifice. The shared spirit animates the group, inspires enthusiasm during battle, forges devotion toward the sacred purpose, and is transubstantiated into pride for the members of the group. The result of this psychic process is the group to feel autonomous, independent and strong enough to express itself as a hegemonic social force. 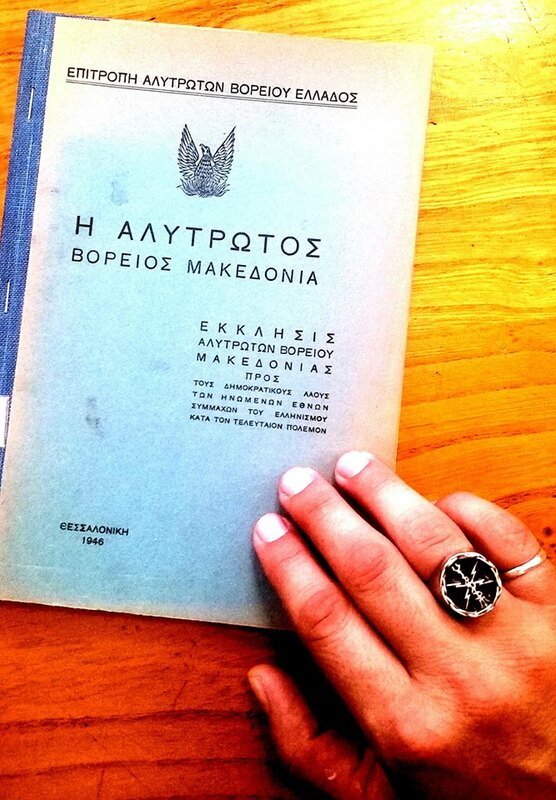 This is what we're doing when we declare ourselves proud Hellenes in faith. We defend by any means our distinct identity and our political independence. We inspire confidence and courage in our adherents. In the past, some naïve Hellenes in faith repelled their autonomous participation in politics. They declared either abstention or submission to the Christian and atheist parties, the moment that Jewish, Christian and Islamic clergymen dominate the foreign and domestic political life. Those who remain silent in front of the ethnocide of Hellenes by Judeo-Christianity become complicit. And there's more to follow. How will we face the new ethnocide by the European Union perpetrated with economic terms, and the ethnocide by Islam perpetrated with religious terms, when certain Hellenes refuse our political and religious independence? We are surrounded by monotheists, atheists, and internationalists. In order to survive, we must build a distinct identity in all aspects of social life. We must have our own schools, our own party and political leaders, our own network of labor and economic solidarity, separate from the Christians, Jews, and Muslims. The Kurdish revolutionary party PKK is a typical example of an organism that tries to build its own separate identity in all the spheres of Kurdish social life. The Hellenic Religion constitutes a comprehensive system of values for all issues pertaining to the organization of society and the state. Those who have misgivings, cannot imagine that we believe in something greater and more significant than our own existence. The Immortal Ancestral Gods and Their plan for Hellas far surpasses human thought. Let's now move on to the naïve question that troubles several Hellenes. "Why not let us all unite together for the overthrow?". The answer: because never in history has such a thing ever occurred. Not in foreign, nor in Hellenic history. That which repeatedly occurs in history is the emergence of hegemonic tendencies between movements. The most powerful movement steers the other movements and converts its own interest into the national interest. Therefore, the strategy and tactics of our Party must guide all the strata of the population capable of revolution, instead of becoming the tail of the political and religious occupational regime. The assimilation and integration into the Christian way of thinking and perceiving of political action has a dilutive influence on the Hellenic People. For centuries we strive to achieve autonomous and independent political action, and Christians will forever seek our abandonment of our political, ideological, organizational and religious autonomy. If we allow ourselves to be infected by the Christian virus, the Revolution will be destroyed from within. The Christians cannot imagine secession from the Roman-like pseudo-state, because they consider it their own. The main problem they have is the loss of their salary. Civilization, race and nation do not concern them. If these issues do concern them, then they're imaginary Christians. They're of Hellenic faith, but they haven't realized it. Some dissenters with the Party used the following false reasoning: since the Christians outnumber the Hellenes, how will we assume authority if we prevent them from becoming members? Needless to say, they don't use such kinds of childish sophisms to ask themselves why Islamic parties are created in multiple lands of the world, without the Islamists being the majority. The formation of communist parties proves just how nonsensical the sophism of the numerical majority of Christians is. Everywhere around the world, wherever communist parties were founded, they constituted the minority, even within the working class. But they formed because a party is formed based on its ideological identity, and not based on its possible electoral percentage in society. Once it's formed, by being a minority, it wages a hard struggle in order to proselytize supporters and to become the majority. It would be absurd of communist parties to allow the admission of capitalists in their ranks just because capitalists constitute the majority of a society. For a party to say that since our opponents are the majority, let's let them invade our party because we are fewer than them, constitutes a shameful admission of incompetence. The basic objective of a party is to organize itself based on the homogeneous minority and to win over the inhomogeneous majority. If it organizes itself based on the perceptions of each majority, then on the one hand nothing will change in the land, on the other hand it doesn't have a purpose of existence (raison d’ être). The negative attitude of certain Hellenes as to our Party has no relation with religion but with the need to feel that they aren't few, that they must head with the herd of sheep. That they aren't cut off from society as a whole. But this will hold true for every position that we will express and is currently underrepresented (national currency, ancient Hellenic language, endogamy, revolution, enslaved ancestral lands, inequality, criminalization of taxation, national constituent assembly, firearm possession, and others). On the one side they state that they aren't sheep, on the other they're afraid to separate from the Christian sheep. The purpose of our Party is to expand Hellenic influence into the ranks of the Christians. 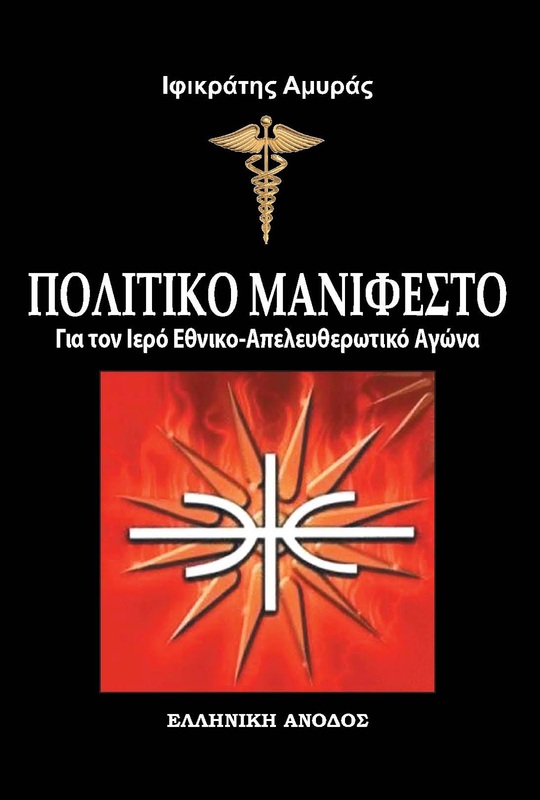 Contrariwise, those who want the elimination of the religious identity of our Party aim at the expansion of Christian influence into the ranks of the Hellenes. In order to emotionally extort the members of the Party of the National Revolution, they use the well-worn script of "unity", just as the English and Turkish occupiers use it in Cyprus. There, instead of invasion and occupation of Cypriot territory, they speak of two coequal communities. In our own case, those who've compromised with the Judeo-Christian occupation speak of coexistence the moment that Christians possess a monopoly on religious authority, while the Hellenic Religion is outlawed here for 17 centuries. We ought to protect our political interests and defend the Hellenic Nation from Judeo-Christianity, just as the National martyrs did during the Byzantine Empire. We owe it to our Descendants. The purpose of Christianity in Hellas is to divide the Nation and to divide the Hellenes by distancing them from their Ancestral Customs, incorporating the weakest elements into the neo-Byzantine, Roman-like pseudo-state. The Scylla and Charybdis of "unity" signifies the assimilation of the Hellenes into Judeo-Christianity. The euphemistic "unity" aims at keeping the Christian Church and priestcraft intact and dictatorial. Only when we conquer the religious authority and the Hellenic Religion undertakes a leading role in the social life of Hellas, will the longed-for national unity come about. The Party of the National Revolution aims at changing the psyche of the Hellenes, and from sheep, to make them wolves. The wolf is a sacred symbol of the God Apollo and Ancient Hellas. We have a duty to equip our People with ideology and organization, and to lead the National Revolution. We will not allow our incorporation into the centuries-long anti-Hellenic prejudices. Our obligation is to secure our ideological unity and the revolutionary character of the Party. We need to mobilize and unite the Hellenes under our own banners and slogans. If we can't fight Judeo-Christianity, we will neither be able to fight Islam, nor the neoliberal globalization, nor the communist homogenization. It's an example of great political naïveté that we now censor ourselves in order to satisfy the Christians, when Christianity suppressed for so many centuries the organizational, political and religious freedoms of the Hellenes. 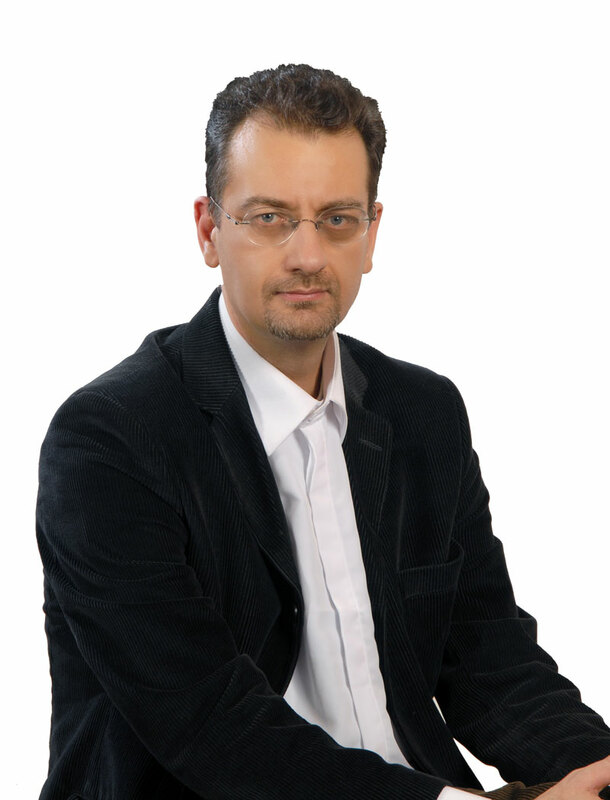 This equates to a concession of sovereign rights without a battle for the Hellenic Nation. We will be equalized with traitors such as Samaras and Papandreou if we sign the unconditional and irrevocable concession of national and religious sovereign rights to Judeo-Christianity. We wage a sacred struggle to liberate the Hellenes from Judeo-Christian slavery. We will never compromise with Judeo-Christian slavery in the name of "unity". Unity in slavery and anti-Hellenism cannot exist. The fairytale of Christian "unity" aims at making us limit our political action to the economic problems, conceding the political and religious authority to the dictatorial Christian creed. Christian "unity" is one thing, and Hellenic unity is another. Christian "unity" means submission, homogenization of a leveling nature, assimilation, de-Hellenization, slavery toward Yahweh and Judaism. If we build the Party with inhomogeneous elements, it will dissolve from the first gust of wind and will easily be abandoned by its officials during challenging times. Even if we wanted to temporarily ally ourselves with other parties, we must first build the Party with a distinct ethno-religious identity so as to negotiate tactical alliances with specific terms. Only as a distinct political entity will our opponents reckon us. Otherwise we confuse the meaning of the Party with the meaning of the Front. If we suppose that a popular uprising breaks out, will we take part? Of course. Christians, anarchists, nationalists, communists, Muslims, atheists, every kind of identity will descend onto the streets with its own slogans. But it doesn't follow that we will lower our banners in order to "unite" with the others. It's one thing to ally ourselves for the Revolution and another thing to assimilate ourselves into the religious status quo. We will participate heroically in the popular uprising regardless of the ideological imperatives of the other insurgents. We put forward our own values and we struggle to win over the People. We need the ideological and organizational unity of the Hellenes, and not a "national" unity with the destroyers of the Nation, whether they're Christians, Muslims, communists, or capitalists. It's extremely dangerous to turn a blind eye. The Pan-Europa movement that was launched by Richard Coudenhove-Kalergi, has as a target the political, military, economic and Christian unification of the Nations of Europe within a neo-Byzantine imperial construct. It's no coincidence at all that the majority of Christian politicians in Hellas not only do not project resistance but also welcome the conversion of Hellas into a prefecture of the federal state of Brussels. Christianity as an anti-national and internationalist ideology diminishes the national consciousness of the Hellenes. It destroys our ethnism, engendering waves of assimilation of our People into foreign peoples and cultures. Before our very eyes, a new Byzantine Empire is being created, with all the tragic consequences of the past. Our Descendants will not pardon us for our inaction in front of the new imperial monstrosity, let alone the moronic and myopic stance of certain Hellenes regarding "unity" with the neo-Byzantines. "But 90% of the Hellenes are Christian," claim those who surrender our Brethren without a battle to the Judaic sect of Nazareth. "So how will we assume authority by being a minority? ", they continue. Let's see the three logical errors that this nonsensical claim contains. First, it takes the view that our Brethren baptized in infancy, who have never come into contact with the Hellenic Religion, are, by definition, our opponents. Second, it implies that the term Hellene is solely geographical, and not a religious-cultural term. You will either be a Hellene or a Christian. The same applies for Islam; you will either be a Hellene or a Muslim. Hellenism is first and foremost a religious and cultural ideology with achievements known worldwide. Whoever espouses Hellenism and wants to belong to the Hellenic Nation must reject all the anti-Hellenic and alien doctrines. Third, it implies that we can't or shouldn't change the religious identity of our enslaved Brethren. Even though the Hellenic Religion as a code of values transcends the monotheistic creeds, it doesn't possess authority, organization, and reproductive mechanisms of our ideology. Thus it lacks status among the People. Something which is exploited by the monotheistic creeds. The status of Hellenism will sharply increase when Hellenic politicians, military personnel and judges attend religious ceremonies for the Paternal Gods and Maternal Goddesses. If we hide from society, then we're never going to acquire status. In Hellenic society there's an incorrespondence between social and organized political forces. There are far more unorganized Hellenes than there are organized Hellenes. When we count proportions in society, we must separate the proportions of the organized from the proportions of the unorganized social forces. Likewise, we must separate the proportions of the organized from the proportions of the revolutionary forces. There, too, is an incorrespondence. Therefore, even if the rumor that 90% of the citizens are Christian were true, this doesn't mean that the 90% is organized. Nor does it mean that it consists of revolutionaries. In politics we're interested in how many Hellenes are organized, and of those, how many are Revolutionaries. If 3% of the population is of Hellenic faith, excellently organized, and fanatically revolutionary, the overthrow of the occupational regime is guaranteed. In our Party an ethno-racial vanguard of Hellenism will be organized, and will not include every embittered monotheist or atheist who lost his/her salary and asks of us to spill our blood so that he/she can enjoy his/her prodigal life once again. Our people require a robust revolutionary organization and leadership. Only unsuccessful politicoes, incapable of attracting the People with ideological arguments, spew nonsense about "unity". Their arguments are so moronic that they amount to proposing the massive accession of individuals, who for decades played significant roles in PA.SO.K. and New Democracy, into the Party, all in the name of "unity". This criminal wrong was done by three well-known formations (E.PA.M., SPITHA, AN.EL. ), and we saw what became of them. As easily as they come, just as easily do members of open front formations leave. And even within a period of a few months, because they quite simply don't have Ideological Unity. Enough then with the fairytale of "national unity". Talk of "unity" is always propagandized by the conqueror toward the conquered. Our obligation is to undermine Judeo-Christian culture and replace it with the Hellenic Religion in all its manifestations: laws, morals, customs, holidays, organized priesthood, universities, courts, armed forces, rituals (marriage, funeral, name giving), literature, athleticism, crafts, music, theater, painting, sculpture. If we open wide the gates of our Party to all who have political and religious relations with the old regime, they will curb the revolutionary momentum of the National Revolution. By allowing the ascent in leadership in our Party by people of other religion, we disclaim the Revolution and lessen the degree of cohesion of the Political body of the National Revolution. Ideological inhomogeneity will hinder our contact with the popular strata. It will deteriorate our political message. It will make the devising of Party strategy and tactics more difficult. In organized political action, one plus one does not equal two. The best organized minorities have always prevailed against the unorganized, inhomogeneous mass. The solution to the numerical problem is our conversion of Christians into Hellenes. The secret of political success is the ideological unity and cohesion of the Party. The strength of the Party derives from its excellently organized minority, its ability of mass action in minimal time, and from its professionalism. Then, and only then, will we be able to connect with the broad sections of the population and mobilize them under our banners. If we don't project the Hellenic religious identity of our Party, later on it won't be allowed of us to obstruct the entrance of Muslims, Jews, Jehovah's Witnesses, Freemasons, Buddhists, so that they can join as members of the Party. And in order to satisfy the Christians, we'll reach the ridiculous point of kicking out Muslims, Jews, Freemasons, Jehovah's Witnesses, Buddhists, and allowing Christians only, because the Christians consider all the others "heretics". If we start off this way, we'll discount the racial issue too. We'll accept people of other race but who profess to be Hellenes. If we continue in this way, we'll also accept individuals who accept the contemporary parliamentary regime and profess to be Hellenes. If we plummet further into the mire of ideological debasement, we'll also have to tolerate those who accept the euro and the E.U., and profess to be Hellenes. Yes, but then we're not building a revolutionary party, but a house of ill repute. The sacred duty of the revolutionaries is to crush the forces and personalities that hinder or delay the Hellenic Revolution. "Now the Fatherland is burning, we have other priorities". I hear this funny sophism here for 20 years. When the Christians burned the Fatherland and the Hellenes for over 1000 years during the Byzantine Empire, then there was no problem. Now they've all of a sudden become pain-stricken. Now certain people all of a sudden awoke from the conflagration. Our own party perception requires cohesion, organization, and discipline. We recognize the distinction between associating and belonging to the party. We recognize the distinction between Hellenocentrists and the vanguard. An association with the Party can be had by bodies and individuals without having to fully identify with the positions of the Party. But the members of the Party will fully identify with the party ideology. As a nation, we're surrounded by monotheists. Christians, Jews, and Muslims. Elementary knowledge of security strategy requires us to change the religion of our neighbors, and to make them polytheists. The security strategy of our Party seeks the Egyptians' return to their pre-Islamic religion. We seek the same of the Bulgarians, Russians, Iranians, Arabs, Pakistanis, British, Germans, Spaniards, and others. We do evil by denying the patient his/her therapy just because the patient reacts to the medication. Our society is gravely ill, and we ought to rid it of the underlying causes of the illness. Those who rail against the Hellenic religious identity of the Party hate the spiritual and racial aristocracy of Hellenism because they submit to the Judeo-Christian theocracy. By refusing to lead the Revolution acquiring cultural hegemony, we condemn Hellas to catastrophe and regression. Insomuch that Christianity requires of the Hellenes the renouncement of their origin, their national identity, and committing national suicide by assimilating into Judaism, Hellenes have a duty to join us in the Party of the National Revolution. Two other sophisms trouble the Hellenes, which are advanced mainly by the atheists. First, "religion is a personal matter", and second, "let's not become like the Christian Church". The first sophism has been answered with the argument that religion molds political conduct and influences national security, therefore falls within the sphere of public law. But there's also something more significant that requires knowledge of the positions of the Pan-Europa movement. The Austrian count Coudenhove-Kalergi demanded nationality be converted into a personal matter and to be disconnected from the state. That's where we'll end up with atheist "Hellenocentrists". They will convert nationality into a personal matter, just like religion. The second sophism they use is drawn when we demand the religious authority of our Fatherland. In essence, what are they telling us? That since Christianity has religious authority, and they agree that it shouldn't possess it anymore, the Hellenic Religion therefore shouldn't be connected with the state either. On the one hand they equalize the conqueror with the conquered, on the other hand they become mouthpieces of the multicultural propaganda which wants the state to be culturally and religiously neutral. Can anyone imagine a revolution like that of 1821, 1789, or 1917, wherein the revolutionaries would demand the state remain ideologically, politically, economically and culturally neutral, after seizing authority? This would negate the very essence of the Revolution. The word "revolution" means seizure of authority. After the seizure of authority by the French revolutionaries, the French state did not observe a neutrality between monarchy and democracy. The same was done in Russia in 1917; neutrality between capitalism and communism was not observed. The same was done in Hellas; the state did not stand neutral between Ottomans and Hellenes. But for the atheist "Hellenocentrists", revolution means the equal distancing from all cultural and religious movements. They want a state that will be called Hellenic in name only, but won't feature Hellenic cultural and religious tones. Even worse: the state will be atheist. In that the Christian Church identifies with the state, they conclude that the Hellenic Religion shouldn't identify with the state. We conclude that we must ostracize Judeo-Christianity from the state and elevate the Ancestral Gods to the throne of the Hellenic state. Any Hellene who doesn't have hegemonic instincts, will neither have organizational, authority, nor military instincts. Any Hellene who refuses to struggle for authority, has accepted his/her defeat by Judeo-Christianity and tries to rationalize it with nonsense about "unity". The Hellenism of those who disagree with our Party doesn't go beyond a mere recognition of the Hellenic Religion as a non-profit organization, remaining in the corner as a pariah. Those who disagree with the seizure of authority by the Party of Hellenes in faith, don't have a vision of governing Hellas, of changing from their foundations the paideia, the troops, the public health, the economy, the morals and customs, and the demographic problem. They're content with minor concessions from the neo-Byzantine pseudo-state. Their psychology and point of view is that of an inferior person. They feel inferior against the occupier. They watch the occupier in awe and rationalize their psychopathological condition. They suffer from theoretical political training, which always expresses itself with a conciliatory disposition toward the occupiers. They neither know how to hold their position, nor how to impose themselves on their opponents. This is why they turn the weapon on themselves, and think, "in order to avoid feeling external pressure that I can't deal with, I may as well change political stances so as to not feel the pressure". With the catchword "coexistence" (therefore non-conflict), they abandon our basic weapon: the deconstruction of Judaism in its two major religious manifestations – Christianity and Islam. What about the well-intentioned question of what we'll do with the Christians who are drawn to the Party? I respond that in the nucleus lies the Party, while in the periphery lies the movement-network. Those who don't fully espouse our ideas will take on a role in the peripheral movement. But never in the Party. Only if they change their attitude will they ascend to the Party. Otherwise, they remain in the peripheral network. We will not allow the ideological degeneration of the Party by assimilating into the Christian regime, and bartering away our sacred duty of liberating Hellas from Judeo-Christianity. The People require of us courage to move forward in the Struggle. We will not betray them by telling them we're the same mess as the Christian parties. We will not return decades back, wherein we had a movement of Re-Hellenization that was apolitical, atheist, loving of antiquity, but never ancient in manner. We set as a basic aim the politicization of Hellenes in faith, and their independence from the Christian parties. We're 5% of the population, as our political opponents claim? Wonderful! We're the vanguard of the National Revolution and Hellenism. For the Party of the National Revolution to have a timeless character, it must withstand the tempests of the times. The title "member of the Party" would be misleading if it doesn't respond to the events and needs of the times. Christianity has pushed large sections of the Hellenic population toward disarray, alienated consciousness, and impasse. Our Party struggles to elevate their level of consciousness. In order to elevate them, our human resources must stand at a higher level of consciousness than their own. If we fail to recognize the distinction between member and mass, we'll sink to the level of the uneducated mass instead of elevating it to our own level. We want to form a party of revolutionaries to lead the People toward the uprising, and not a party for lofty tea gatherings. The success of the Revolution is the supreme law. The party ethic of a member is judged by his/her devotion toward the Party, and not by his/her personal life. There will always be an occupying legality, which views itself as a monopoly. Our own obligation is to educate the People in legal and non-legal revolutionary action. We must teach the People how to bypass and undermine the occupational laws and to organize their own legality. This is a daily problem of the revolutionary Party. The Party aims to teach the People a code of collective survival through their daily practices. It has an obligation to change representations in the popular consciousness, and not reproduce the same Christian representations. It needs to reverse the scale of social values. It needs to reverse the code of conduct, morals and customs. Our Party follows identity politics. Identity is built only in one way: with the separation from people of other race and religion. Respect is only acquired by whoever imposes his/her right through force, whoever protects by any means his/her adherents, whoever crushes the enemy. Cowards and the inferior never acquire respect or authority. Those who utter inarticulate cries about unity, blot out the issue of religious and cultural imperialism. They want us to be a Hebraic colony. We will never abandon our Brethren as prey for Judaism. Whichever fool speaks of unity, means to say that he/she doesn't have the ability or courage to exercise cultural and religious hegemony in Hellenic society. It means that he/she is psychically and ideologically dependent on the Judaic sect of the Nazarenes. Since he/she doesn't have the courage to join us and be projected in society as part of a separate leading group, he/she considers, albeit subconsciously, that the Christian status quo is a given, normal, and unshakable. Those Hellenes faithful in our Ancestral Gods, who don't have the courage to spiritually lead the Hellenic society, either are themselves unworthy, or the Hellenic Religion is. Counting out the second option, they ought to admit that they are unworthy, and leave the rest of us unswayed to wage the Sacred National Liberatory Struggle. Whichever Hellene in faith does not want to organize autonomously, means that he/she doesn't think independently, nor does he/she behave autonomously from the Christians. The Hellenes will acquire an awareness of their role in society when they band together as the leadership of the rest of the oppressed strata of the People. Those who resist our strategy have confused the overthrow of the status quo with the change of government. A change of government implies reforms of a limited range and intensity. An overthrow of the status quo implies the sweeping demolition of the old ways of thinking and conduct. There will be no betrayal of the demands that our Party projects. Neither in the subjects of currency, race, revolution, nor in language. At the moment, the overwhelming majority of the People do not speak the Ancient Hellenic language, but we demand its reinstatement as the official language of the state regardless of the nonsensical reactions of the demoticists who destroyed the linguistic sense of our People. Each member of the Party must be actuated by an ethical edge: to stand against the mass. To go against the current. On the one side stands all of mankind, and on the other side, the Hellene, alone. The autonomous political organization of the Hellenes in faith aims at our separation from the monotheists, and not to end up assimilated with them. Against the monotheistic, imperialistic hegemony, we will promote Hellenic cultural and religious hegemony. The ideological and political struggle resembles a gladiatorial arena. It never resembles a contest of good manners. Propriety diminishes the survival instinct of our People. By seeing ourselves as a distinct ethnic group from the monotheists, we'll be saved from the assimilation and extinction as a nation and civilization. Our separate identity was created by bonds of shared experiences and values, completely opposite from those of the Christians. It is precisely this precious, distinct identity that the alleged unity wants to destroy. When all is said and done, if our parents were slaves to Yahweh, that doesn't obligate us to remain slaves in order to not sever ties with Yahweh. We see the Hellenic Religion as a qualitative leap of the People. As a spirit of separation from cosmopolitanism and globalization. Our Party will remove the guilt associated with the worship of the Ancestral Gods. We will project with pride and courage the Hellenic Priestesses in our events and inaugurations of our offices. Some ask whether we'll reject candidate members on the grounds of religion. The question is, to what end is the candidate member coming for? If he/she intends to maintain all his/her prejudices, there are so many Christian parties which he/she could join. Why would he/she join us? However, a well-intentioned person of other religion can support our Party, just as conversely the Hellenes in faith do with Christian parties. Christian parties such as Golden Dawn, LA.OS. AN.EL., New Democracy and PA.SO.K. profess faith in Yahweh and his son, but there are Hellenes in faith who vote for them. There is no reason for us to lower our flag. The Christians have as many parties as they wish to go to, but none of them defend the Ancestral Religion. Individuals with phobic syndromes try to destroy the obedience toward the Ancestral Gods, this supreme value that keeps the Nation united. They try to rupture our bonds with the Ancestral Gods, and try to pollute our Nation with ideological and cultural intermixture. Their witting or unwitting purpose is the abolition of every difference in the national identity between Hellenes and monotheists. Our Party is formed so as to unite the People under the gaze of the Ancestral gods, and to liberate our Brethren from the yoke of Judaic anti-Hellenism. 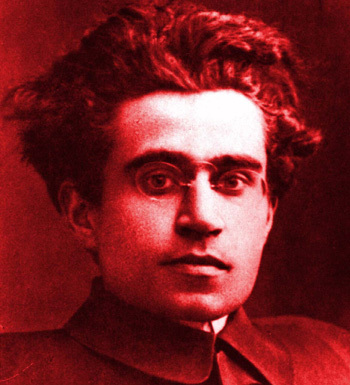 The immediate formation of the Political body of the National Revolution constitutes a dire necessity in order to acquire political experience in the war against monotheistic totalitarianism.